MOUNTAIN VIEW, CA – The Community School of Music and Arts (CSMA) in Mountain View presents a free concert with the Mark Lettieri Trio on Sunday, February 17 at 2:00pm. The performance will be held in Tateuchi Hall at the Community School of Music and Arts, located at 230 San Antonio Circle in Mountain View. This concert is free and open to the public. Seating is limited; please arrive early. Doors open at 1:30pm. 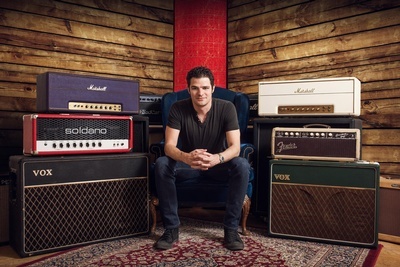 Mark Lettieri is a guitarist, composer and producer born in the Bay Area and now based in Fort Worth, Texas. He is proficient in a multitude of musical styles, and records and performs in almost every genre of popular music with both independent and major-label artists. 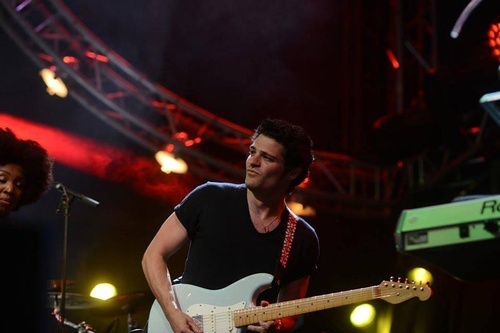 Lettieri is the guitarist, arranger and composer of the jazz and funk collective Snarky Puppy, who have won three GRAMMY Awards, including Best R&B Performance (“Something” featuring Lalah Hathaway in 2014) and Best Contemporary Instrumental Album (Sylva in 2016 and Culcha Vulcha in 2017). Lettieri also composes and produces original instrumental music as part of the Mark Lettieri Trio. He has released three albums as a leader including Knows in 2011, Futurefun in 2013 and Spark and Echo in 2016. He has performed with gospel singer Anthony Evans, American Idol winner Phillip Phillips, Nelly and Dave Chappelle. This event is part of CSMA’s 2018-2019 Community Concert Series. In keeping with CSMA’s mission to provide Arts for All, Community Concerts are free and open to the public. Located in Mountain View, CSMA provides unique music and visual arts programming and events for audiences of all ages and backgrounds. The Community Concert Series is supported by a generous grant from the Applied Materials Foundation. The official media sponsor for the series is Classical KDFC radio. Doors open at 1:30pm. Please arrive early. Seating is limited.